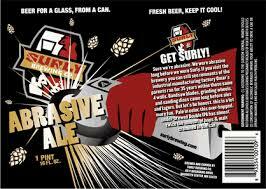 Surly Abrasive coming to Iowa next week? A beer I thought that was released in January sounds like it is going to hit our shelves and taplines next week as Surly Abrasive appears destined for Iowa markets. Talk on forums and boards are saying it will be released next week as the Keg Stand in Des Moines will have a keg available on November 5th. With Ballast Point coming next week as well, this could be an expensive but great month for beer lovers! I’ll post more on Abrasive releases in Eastern Iowa when they become available! Cheers! Beer Rumor: Stone Xocoveza returning this winter? In 12 oz form?